The Holiday Inn London-Bexley is situated outside the inner-London Congestion Charge area, and is just 10 minutes from the famous Bluewater shopping centre and 20 minutes from the Lakeside shopping centre. Central London is just 30 minutes away by train.. Enjoy a quiet location right in the heart of cosmopolitan London at the Holiday Inn London-Oxford Circus hotel. Marble columns frame the entrance to our London hotel, an elegant Edwardian building on a peaceful street in the smart Marylebone area . Choose..
As well as being located in the heart of Sutton (Surrey), the hotel is also conveniently located for many famous attractions in South London including Wimbledon, Epsom Downs Racecourse and Chessington World of Adventures. 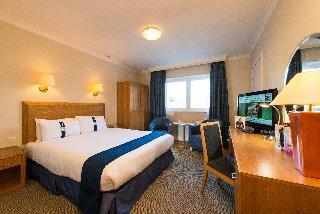 It also is a great location for..
## Overview Holiday Inn London Sutton is a contemporary 3-star hotel offering modern accommodation in southwest London. It boasts a comprehensive health club with swimming pool and is within easy travelling distance from central London. ## Location The.. The hotel is located at Gypsy Corner on the A40 Western Avenue. North Acton underground (Central Line/ Zone 2) is just five minutes from the hotel, with Marble Arch and the West End just fifteen minutes away.The medium-sized bedrooms are fresh and stylish..
Holiday Inn Luton South is the perfect base to discover a host of nearby attractions. For a family day out, visit the fantastic Whipsnade Wild Animal Park, the Roman city of St. Albans, or take a bracing walk and admire the nearby Dunstable Downs. 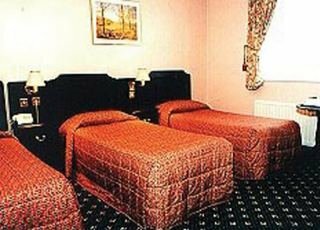 Located..
Boasting a peaceful location, this pleasant hotel is situated only a short distance from Sutton train station. This allows guests easy access to the countryside outside of London as well as the city centre itself. The hotel's facilities include Squiggles.. This hotel is located in the Bayswater area of London, lying just a short distance away from Hyde Park, Notting Hill and Queensway. Guests will find themselves in a great location from which to explore this wonderful city. The hotel is located just 300.. Location This hotel is located in Bayswater near to Hyde Park, Notting Hill and Queensway with it copious shops, restaurants and bars. Public transport is easily reached within 300 m and the nearest tube station is Bayswater or Queensway. Facilities Renovated..